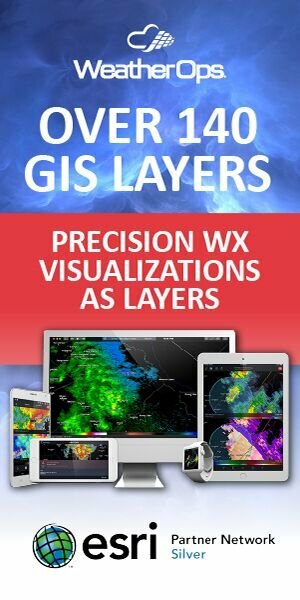 If you watch the weather on the nightly news, you may hear about troughs and ridges. Have you ever wondered what they are and why they are important? Troughs and ridges look like what you might expect; a trough is roughly U shaped. To the east of the trough, air will usually rise, allowing for the development of precipitation. The wind around a trough in the Northern Hemisphere will blow counterclockwise (northwest or north to the west of the trough and southwest or south to the east). A ridge, on the other hand, looks like an upside down U. Fair weather is usually associated with ridges; air under a ridge sinks, which is not conducive for the development of clouds and precipitation. If you’re under a ridge during the summer, conditions are usually hot and dry. In the Northern Hemisphere, winds will blow clockwise around a high (northwesterly northwest of the ridge and southwesterly southwest of the ridge. 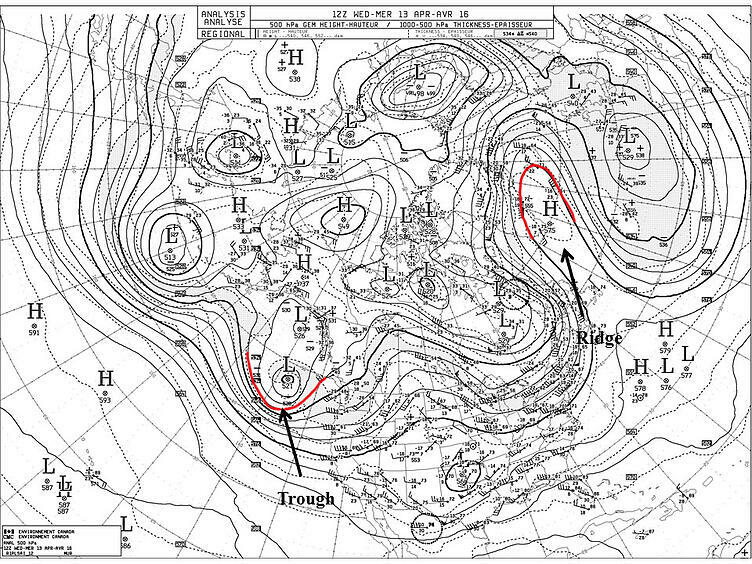 Broadly speaking, troughs and ridges are properties of the pressure field and they can easily be seen on a weather map. 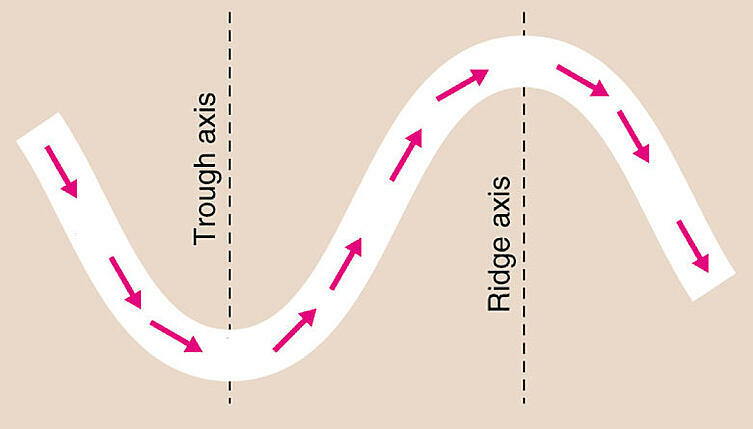 Troughs are found near low pressure areas while ridges are found near high pressure. Below is an example of what they tend to look like. Troughs and ridges are important features in predicting the weather. They can tell you whether rain or snow is on the way or if dry conditions are likely. So, pay attention next time the weather comes because knowing where you are in regards to a trough or ridge will help you understand your weather forecast.